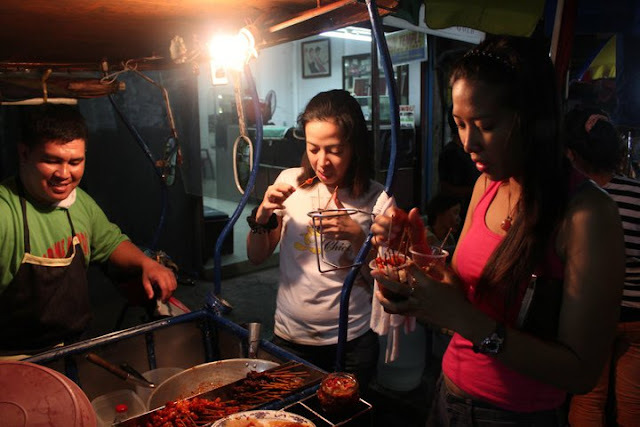 Omni Reviews Now: Fried Offal - "Litid" and "Baga"
Whenever I visit the city of Lipa City, Batangas, I make sure to check out their night market where you can find a lot of local delicacies and though not unique to them, this specific vendor sells one of the tastiest fried offal (lungs and ligaments) out there. "Ligaments, lungs, and, house blend vinegar. What more to ask for?" 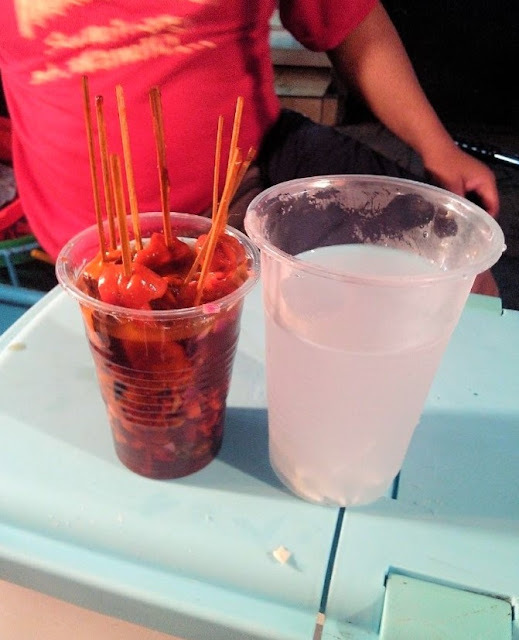 Never got the chance to ask his name and his food cart/trike doesn't have any sign but you'll easily recognize this vendor's smiling face and his crowded stall once you get there. "if you only knew where I get these from (laughs internally)"
Of course eating fried ligaments and lungs will gross out most people and those who've never tried it will avoid this but I can guarantee it's tastiness, which absolutely means nothing, but just try one and you won't regret it. He doesn't stop frying so everything is served hot. 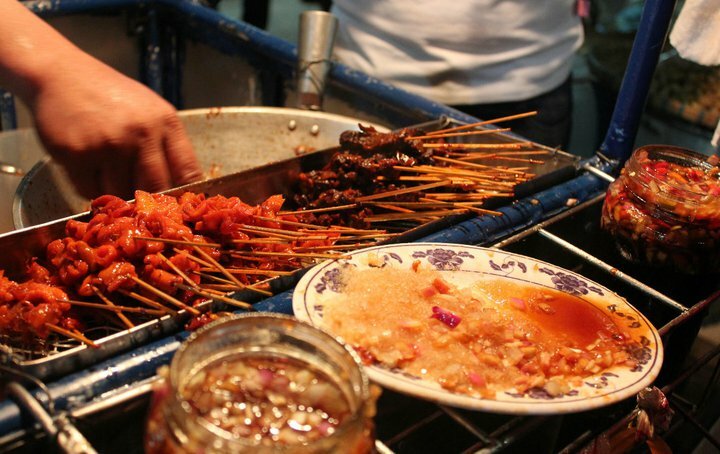 Each lungs cost 2 php and ligaments at 3 php, you can stuff your face for a dollar. These I avoid and you should too, to prevent contacting hepatitis, people double dip! That's why ask for a cup, and have him pour a healthy serving of vinegar and onions. And it wouldn't feel complete if you don't wash it all down with a cup of fresh coconut juice. If ever you get the chance to visit the night market in Lipa City, Batangas, definitely make a stop and have a snack here, it's not meant to fill you but just enough to get your taste buds going to enjoy the other delicacies served there, which I'll try and review once I find the pictures in my library called oblivion.